We understand that every load does not fit into a mass template. We manufacture custom lifting equipment with a focus on precise engineering, high manufacturing standards and unflinching quality. The industry experts at The Lifting Company will work closely with you to custom design lifting equipment and build the ideal solution to suit your lifting requirements. We can design and manufacture equipment that is personalised to your specific needs of height, environment, weight, convenience or transportation. Our products range from forklift attachments and mancages through to heavy duty stands and mounts for Haulpak motors. We design and manufacture cages made from the highest quality steel. 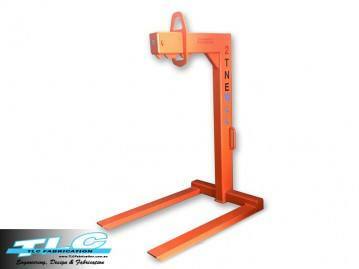 We stock a range of equipment cages, which come with top lifting lugs for crane lifting and forklift tine slots. All cages are made in our Welshpool fabrication workshop; we stock a few standard sizes on the shelf, but can also customise to your requirements. 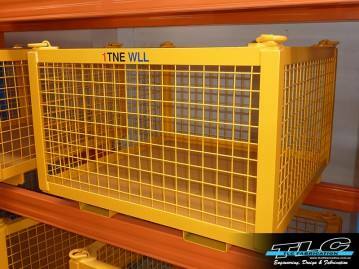 All cages are made to Australian Standard AS4991. Engineered to Australian Standard AS 4991, our standard 2.0tne forklift attachment will suit most forklifts up to 2.5t. NATA certified, proof loaded and painted to industrial specification (custom colour available on request); our units are ready to use off the shelf. They come complete with a safety swivel hook and restraining chain for anchoring the boom to the forklift. We also have a 4.5t forklift boom and can make larger units to suit any machine. Made to Australian Standard AS 4991 – 2004 CL 12.2, we stock a range from 8t to 50t. NATA certified, proof loaded, painted to industrial specification (custom colour available on request) and ready to use. Using the best metal fabrication equipment, we can manufacture lifting and spreader beams to any size and weight to suit your requirements. 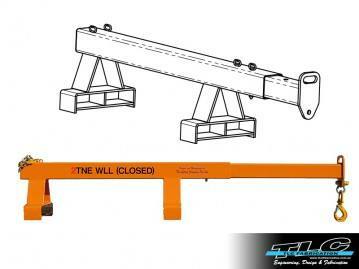 We have both fixed and adjustable beams, centre point lifting beams and outside point spreader beams. If we don’t have what you want, speak to one of our sales team to arrange a custom quote today. 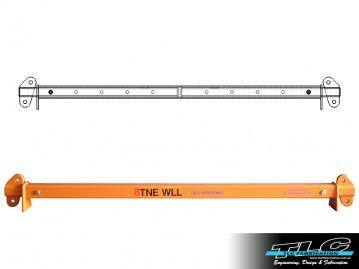 Designed for use with standard pallets, these bars fit precisely into the pallet, and by using a four-leg chain or wire rope sling, allows for easy lifting with a crane. They are sold as a pair with a combined Working Load Limit (WLL) of 2.0 tonnes. Alternatively our 2t Pallet Lifting Frame is designed to make transporting loaded pallets via crane a fast and safe exercise without the need for additional chains or wires. Our team of qualified, coded boiler-makers specialise in the fabrication of just about anything. From rough sketch drawings, we create fully engineered shop drawings, before fabricating, proof-load testing and finishing to NATA Certification standards. We have a long history of once-off special projects, creating specific solutions for unique requirements. We have fabricated items capable of lifting well over 250 tonnes. Contact us today to discuss your metal fabrication requirements.